If you are tired, unwell or want a night off then Heart and Halo has the perfect solution for you. Tusta (and Amy) are bringing their frozen boxed meals this week. 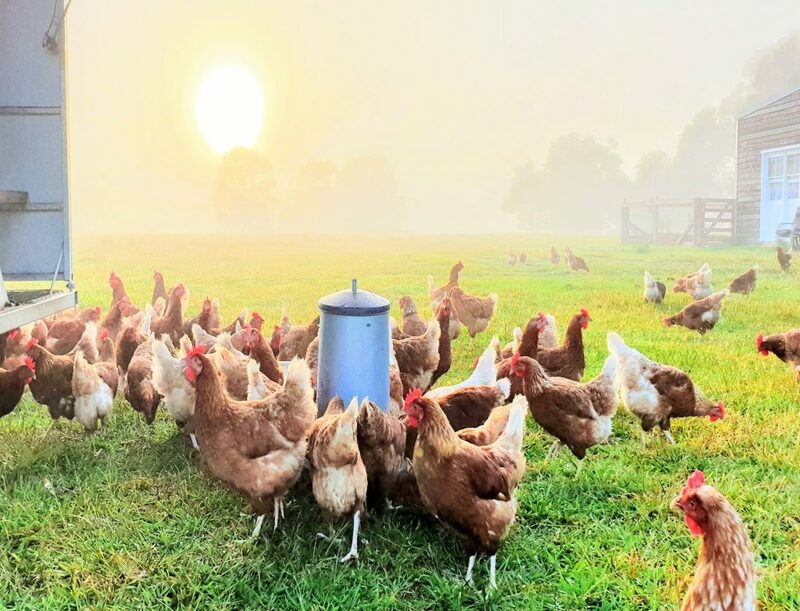 So you can pick up a couple too take home and pop in the freezer and because they are from the Murwillumbah Farmers Market you can be assured that they are made using the best ingredients sourced from the northern rivers where possible. 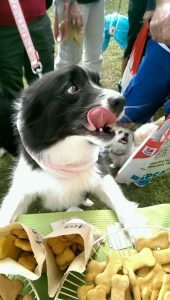 Come along and sample a taste! 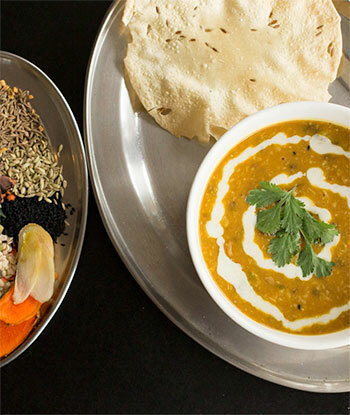 Wholesome Indian Lentil Dahl – a mix of high protein lentils in a rich sauce of freshly roasted and ground whole spice. Tusta says thus us a traditional recipe from the heart of India. Mediterranean Lentil Quinoa Stew is a beautiful blend of mixed herbs, lentils and red beans and high protein quinoa. Tusta says experience the subtle taste of roasted tomato puree and delicate Mediterranean flavours. 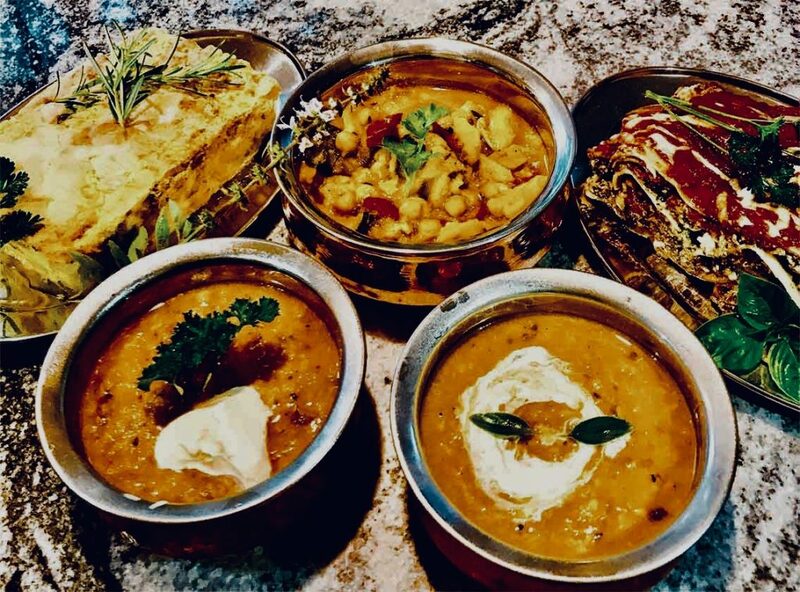 Chickpea and Veg Mild Coconut Curry is full of vegetables and well cooked chick peas in the most amazing fresh spiced sauce and only a hint of coconut cream making this a light but nourishing meal. It is cooked in a healthy vegetable stock. Would you love to have a warm toastie breakfast at the Market? Food Baby’s Hannah Maguire & Brookelin Peterson will make your day with their selection of delicious toasties starting this week. 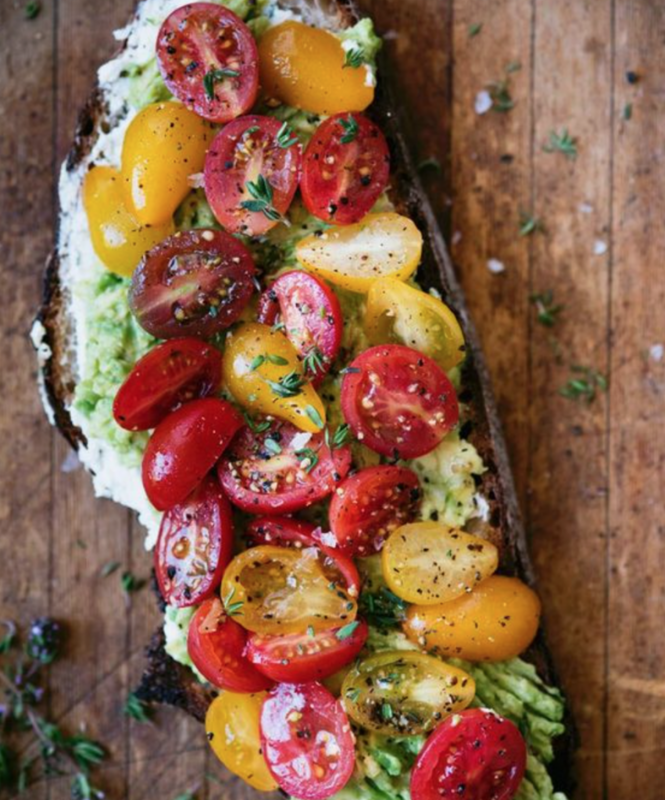 Using Crabbes Creek very popular sour dough bread as the base they are making simple but delicious seasonal toppings such as avocado and …. plus as homemade pickles, krauts, sprouts and seed mixes. Our celebration will include a very SPECIAL activity for school age children. 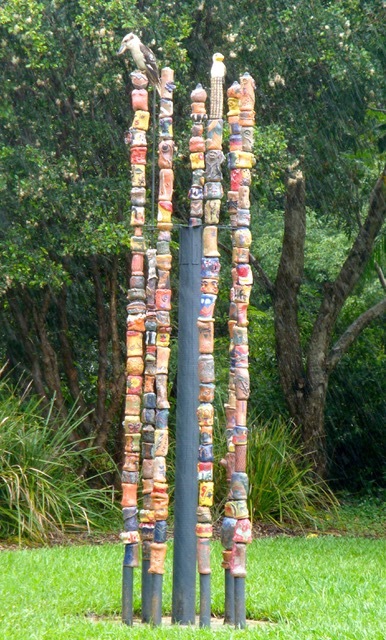 We are thrilled that local sculptor and artist Marie-France Rose will be working with school age children making clay beads to thread onto a totem pole. When completed and fired the totem pole will form a permanent art installation at the market. In May it well also form part of the M-Arts Trail. Marie-France – a very popular local sculptor works principally with clay as her favourite medium with each of her pieces being hand built. After the first firing in her gas kiln her clay sculpture becomes her canvas to paint. Paula, Amanda and Emma from The Family Centre will be available for the littlies at the market in Kiddies Corner where play dough and other activities are available and maybe just a little clay modelling as well. 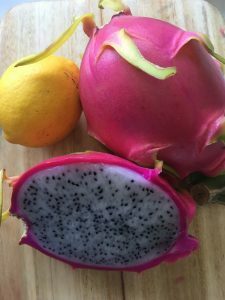 The most superb white dragon fruit are available at the Jumping Red Ant stall. Red on the outside they look very similar to the red variety however when until you cut them and discover the white flesh. These are preferred by some as the flavour is milder than the red ones. New: Heart and Halo and Food Baby is starting next week with their vegetarian toasties. 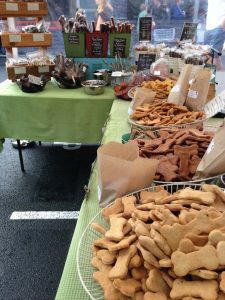 Doggie-Licious is back for their second week and with fine weather they will be in their regular spot next to Brights Bees Wax potions. Away: Nudgel Nuts is absent for the another 2 weeks – returning 24th April.